I just finished reading a book, The Innocent, written by this guy Harlan Coben. His books are mysteries. I have read a bunch of his books now. I read an essay he wrote in a magazine about his best friend who died two years ago in a plane crash. Harlan Coben is my age and grew up in New Jersey and his books take place there. Aside from his books being really fun, I am sure that I like them because of my being the same age, Jewish and living in New Jersey when I was little and then with you at Hackensack. I can hear the loss of his friend in his writing. That makes me like him too. I also like mysteries by a guy named George Pelecanos. 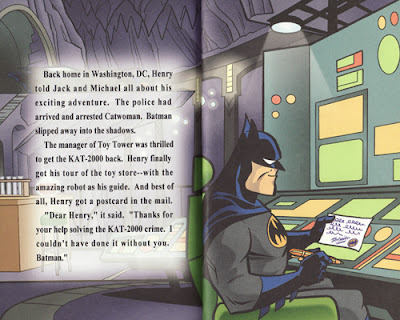 He lives in Takoma Park or Silver Spring and all of his stories take place in Washington, DC. It is fun to read in a book all of the places that you see every day. He also likes the same kind of music I do, and also I love seeing him mention in his books the music that I like. 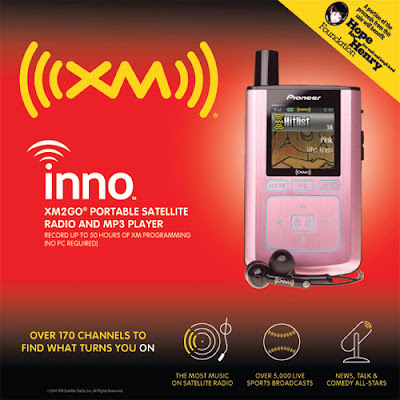 I sent him an XM radio years ago and sure enough XM popped up in his last book. That felt great. 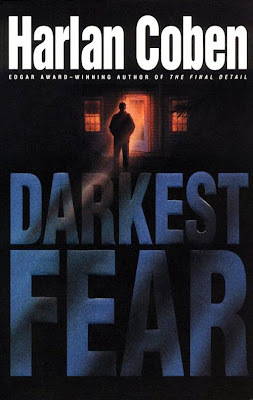 The first Harlan Coben book I read was called Darkest Fear. I think I bought it at an airport because I was looking at a whole row of books and chose his because I thought that his name was interesting. I figured it was some strange misspelling of "Cohen." 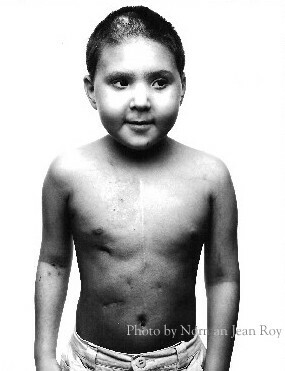 Naturally, the book was about a kid who needed a bone marrow transplant. I remember being in an airport reading it and just being blown away when I read that this kid had Fanconi amemia. As I read I kept saying to myself, "this isn't right," and "that's not right." I knew too much. That is a mystery title, "The Man Who Knew Too Much." So of course I tracked down Mr. Coben's email address and wrote him. I think that I said to him that I thought it was great that he wrote about FA. Before Molly, no-one had ever heard about FA - even though it was a kid who had FA who received the first cord blood transplant ever - and it is important that more people know about it so we can get more money for research and find a cure. I do remember asking him if he could make a contribution to the Fanconi Anemia Research Fund. I thought about that a few weeks ago when I was talking to Molly's mom who said she asked the same thing of Jodi Picoult, who wrote the book "Sister's Keeper," which is a story about a little girl who needs a transplant. Back to the book I just finished, "The Innocent." It was a good book, and there was one part that I found personally interesting. If you click on this you can read it. I think about this myself. I think that Harlan Coben is really sensitive to it because of his friend's death. This is what he wrote about his friend's son. 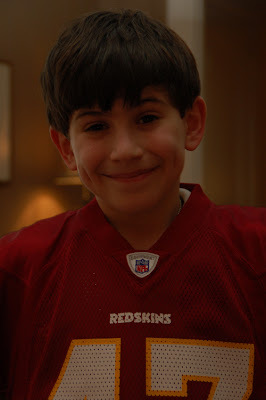 On December 10, 2005, a little more than a year after the plane crash, Jesse Miller was called to the Torah for his bar-mitzvah. Looking up at him from my seat with the congregation, I saw Steve, of course. But as his beautiful son ended the service by singing Imagine by John Lennon, I realized something simple and profound. I have everyone's pictures that they sent us during December. I have them in a pile because I have wanted to scan them in and put them on here so you can see how everyone is growing up. We don't send one out. 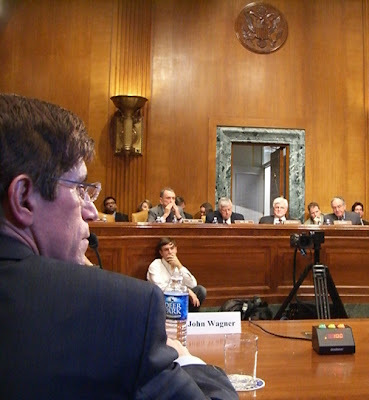 Dr. Wagner came to town yesterday and we went with him up to the Senate. 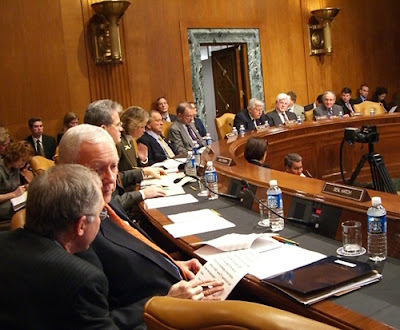 They had a hearing about stem cell research. Most of Samantha Alcazar's 18 years have been spent battling a rare blood disorder. But today she will meet the "angel" who gave her a new chance at life - and he will be wearing an FDNY uniform. Samantha, who has shuttled between hospitals in Texas and her native Mexico, had been given little chance to survive until Firefighter Stephen Duffy provided her with a bone-marrow transplant and hope for a healthy future. "I'm going to tell him that he's such an angel," said Samantha, who will meet Duffy for the first time today at FDNY headquarters, thanks to the New York Blood Center. "He gave me so much. I'm super nervous and I'm probably going to cry." Samantha, who was born in Guadalajara, was diagnosed with a low platelet count in her blood when she was 6 years old. Her health took a turn for the worse four years later when she began to suffer headaches and severe bloody noses. In 2002, Samantha's platelet count fell to a dangerous 17, well below a normal count, which ranges from 150 to 400. Doctors diagnosed her with a rare - and often fatal - bone-marrow disease, Fanconi's anemia. "They told her she needed a transplant and she needed it soon," said Samantha's mom, Claudia Alcazar, 35, who moved her daughter to San Antonio, Tex., in search of better medical care. "I prayed and prayed and waited for God to help us." A year later, her prayers were answered. Duffy, who is assigned to Ladder 16 on the upper East Side, had given a blood sample while in the Fire Academy and was told it perfectly matched what Samantha needed. Though faced with a painful transplant operation, Duffy, 33, agreed to help. "It's a tremendous feeling to help," said Duffy, an eight-year veteran of the FDNY. "In our job, you do get lots of opportunities to save lives but there's something different about this. "It's more personal," said Duffy, whose older sister is fighting her own battle against breast cancer. "It's like giving a part of yourself." Today at FDNY headquarters, the New York Blood Center, which facilitated Samantha's transplant, will honor 80 members of the department who have donated lifesaving bone marrow. "Donating bone marrow, like running into burning buildings, has become a duty to firefighters in their desire to help others," Fire Commissioner Nicholas Scoppetta said. "In both cases, these are strangers, but that makes no difference to firefighters." Samantha's mom said she can't wait to wrap her arms around the firefighter who saved her daughter. "I have cried so many tears of sadness, now I can cry with joy," she said. "We are going to hug him so tight." 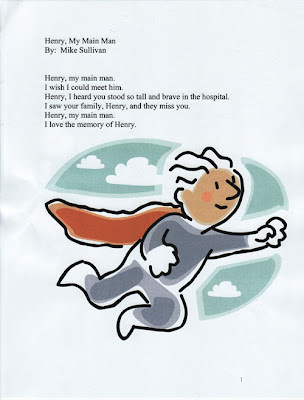 This poem is by a boy who came to the Superhero celebration last weekend. Mom and I went to a movie tonight and Zhenny stayed with Jack and Joe. Mom said that Zhenny told her that a bunch of people in her family, who were only in the 40s and 50's, have died in their sleep. She said that Zhenny explained that she dreams of you and a number of times you have saved her life. Zhenny said that she'll have trouble breathing in her sleep and you wake her up. Wow. Mom also said that Zhenny feels you around the house. If she babysits late she has her husband Peter come in and stay with her because she is a little freaked out by your presence. Kabir is a kid who Dr. Shad was treating at Georgetown. The Hope for Henry Foundation gave him the Harry Potter books and Disney videos. I also loaded up for him a video iPod with some Disney movies and Harry Potter audio books. I hope he is using that on his flight back to India. I have a lot of pictures of him. I will put some up on here. Teen Leaves 'His Only Hope' Behind in U.S. They had spent a tiring weekend boxing up his Harry Potter books, his Disney videos, the games that had helped sustain 14-year-old Kabir Sekhri in this foreign land. And as his mother and father checked off their final packing details, so did Kabir's doctor. Her list included sterile dressing kits and needles, gamma globulin and antibiotics, methadone for pain -- enough to last him until spring, she had decided. If only she could guarantee that his cancer would allow him that much time. These were not the preparations anyone had envisioned when Kabir and his parents, Vikram and Sonia Sekhri, came to Washington from New Delhi almost 20 months ago. They had hoped for a triumphant return to India, a declaration of victory marked by the full recovery of Kabir's health, animated smile and thick, dark hair. Instead, when the family arrived at Dulles International Airport late Tuesday afternoon, a frail-looking Kabir rode in a wheelchair. A navy knit cap concealed the damage wrought by chemotherapy. His leukemia had kept coming back with more and more vengeance until he unequivocally declared that he was done. It was a wrenching decision, not only for his parents but for his oncologist, Aziza Shad, who had led his care at Georgetown University Hospital. Yet it was a decision they all felt compelled to honor. The victory now was simply that he was there at the airport, stable enough medically to endure two long flights halfway around the world. Shad bent low to ask Kabir how he was feeling. She would be traveling the more than 9,000 miles with him. "I made a promise I would get him home, and I need to stick to my promise," she said. The journey on which they had embarked was not all that different from the journey many families take. Still, something about Kabir's gentle, uncomplaining manner and his extraordinary distance from home prompted the hospital staff and other patients and parents to embrace him in a singular way. The Sekhris reciprocated. And somehow, despite all the heartache, his mother found blessings. "God's been very kind," she'd say. Kabir was 11 when he first became ill, and the doctors initially attributed his aches, fatigue and swollen lymph nodes to an infection. When his symptoms didn't respond to the usual medicine, they looked further. The correct diagnosis -- of T-cell acute lymphoblastic leukemia -- came the same week that Kabir's grandfather succumbed to throat cancer after years of grueling treatment. "That was a tender moment for us because we had seen all the treatment fail," Kabir's father recalled. "We thought, 'How can a child go through this?' 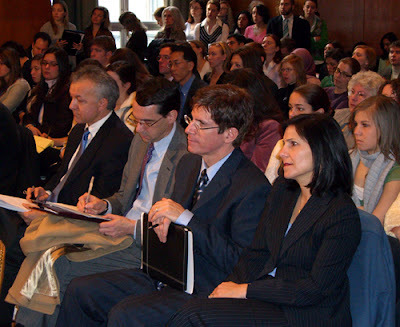 "
The Sekhris quickly learned. Kabir's particular disease assaults children more than adults, especially older boys, and it carries a poorer prognosis than other pediatric cancers. 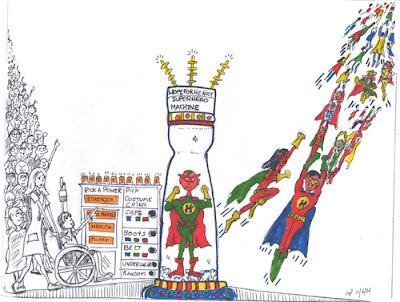 Though his body responded well enough to the early chemotherapy to put him in remission, he had not completed the full regimen when he relapsed. "If you really want to do something for him, take him to America," their oncologist in India advised. The newest drugs were available in the United States, as were the best centers for the bone marrow transplant that probably would be needed to save his life. As his mother remembers, "We were told this was his only hope." They boarded a plane in May 2005, leaving behind Vikram's leather goods business and everything Kabir knew: his beloved sister and the aunts, uncles and cousins who make up the Sekhris' close-knit extended family, the friends he had played with his entire childhood, the dusty, teeming city of Delhi. A relative in Falls Church had contacted Shad, head of the pediatric oncology division at Georgetown's Lombardi Cancer Center. Would she evaluate his case? Did she think he had a chance? Four months of highly aggressive chemotherapy drugs ravaged Kabir but pushed his body into a second remission that made him a candidate for a bone marrow transplant. The perfect donor: his 16-year-old sister, Ridhima. She flew from India, and the family traveled to Duke University Medical Center for the procedure. The graft took well enough that when Kabir returned to Washington in early 2006, he was out of the hospital far more than in it, giving him a chance at memories not integrally tied to pain. He went to New York, visiting the Statue of Liberty and gawking at Times Square. He also became an enthusiastic camper at a National Institutes of Health program for children battling cancer, canoeing and riding horses and even trying fencing. "I want to come back from India every year for this camp!" he exclaimed upon his return. The Sekhris started counting the days to the first anniversary of Kabir's transplant. By September, it seemed likely that they would make it, which would mean that Kabir would be able to be fly to India in time for a cousin's wedding celebration. He'd already bought new clothes. He never wore them, however. The one-year checkup at Duke revealed a second relapse. The news was shattering. "Everything came to a standstill," his father said. In an instant, wedding travel became impossible, as did his son's greatest hope: to tell everyone back home that he at last was well. Kabir was readmitted to Georgetown, and the weeks that followed deteriorated in a horrific downward spiral. He rejected any talk of another transplant but acquiesced to Shad's entreaties for one final attempt at chemo. She tried different toxins and combinations as her patient grew ever weaker, wracked by days of extreme fevers, numbness and bleeding. He stopped eating and virtually stopped communicating. When he did talk, he'd say plaintively, in a wispy voice made almost childlike by the drugs: "I just want to go home." Shad feared he'd never leave the hospital. But just after Christmas, after the final drug in Western medicine's arsenal, a bone marrow biopsy showed the unexpected -- a partial remission. No matter, Kabir reminded her; he'd said he was finished. But Shad, who has a son just one year younger, still is struggling with that. "All I know is that this child gave it his best," she reflected late last week. "He gave it again and again and again and again." On the afternoon of his departure, the staff at the Lombardi Center threw the Sekhris a cake-and-tears send-off. Then the family and Shad headed to Dulles. Kabir might have wished he'd seen more of America. "I would have liked to have gone to Disney World," he admitted. Not this trip. His small entourage proceeded to a secluded alcove of an airport lounge. Kabir snacked on french fries, glimpsed at long last the swirling white magic of a brief snow shower and fell asleep under the handmade quilt given to him at the hospital. 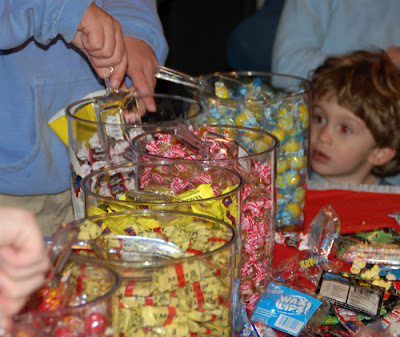 "It's time," his mother quietly roused him. The teenager sat up in an instant and readjusted his navy knit cap. And as his parents followed close behind, an attendant wheeled him the final distance down the corridor to gate 32, through the last checkpoint and onto the plane. 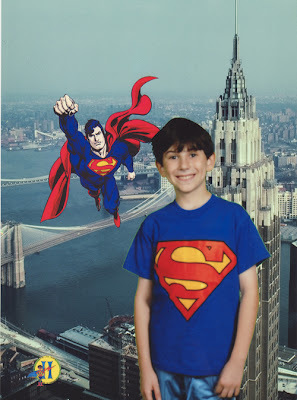 Here is the blog of a father whose son has Fanconi anemia. His name is Jack. Jack and his family live in the Philippines. That is where Zheny is from. She is still our nanny. I'm starting a new job tomorrow. I left XM, which was really hard. You saw the letter from Hugh. He is a big reason why it was so hard to leave. It feels like a loss, not like losing you, but a loss. I started there right after you died. It helped me get by, to live. I had a moment last week when I couldn't believe you were dead. I was in the basement doing the laundry and it lasted a nanosecond. It doesn't happen much anymore. Not at all. Though I don't think that means I've "accepted" your death. 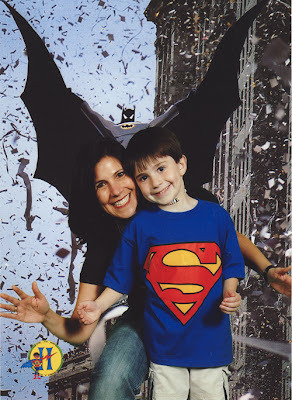 A family got in touch with us this weekend about their son who has Fanconi anemia. We haven't gotten back to them yet. Their son's name is Henry. I was putting Joe to sleep tonight and I told him that I was tired of reading baseball books and baseball cards and wanted to read something else. Luckily we have a zillion books about ducks, bears, chickens, turtles and farting dogs. I asked him to pick out a non-baseball book and thankfully he grabbed a Spongebob Squarepants Halloween book. But the joke was on me because one of the costumes Spongebob tries on for Patrick is -- baseball player. Argh. For some reason Mom brought this book into our room. I think she may have said something about ordering them for Hope for Henry patients. 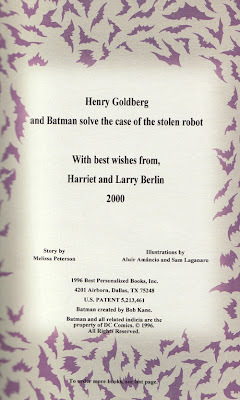 I will try to read it to Joe tomorrow night at bedtime. 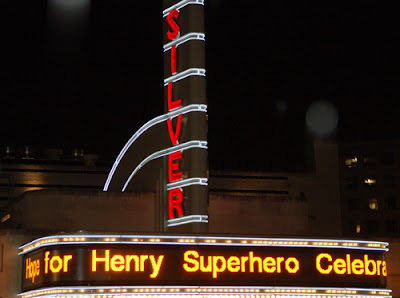 On Sunday we had a big Hope for Henry event at the AFI Silver Theatre in Silver Spring, which is near where Aunt Tracey and Uncle Andrew live. 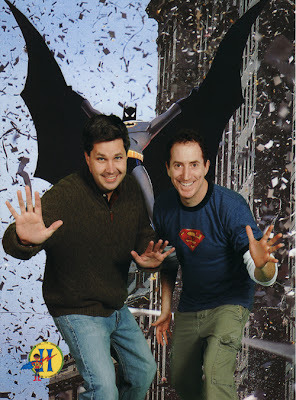 We showed superhero cartoons and Batman, Superman and Wonderwoman were there. Kenny Curtis, who I worked with at XM, was with us too. 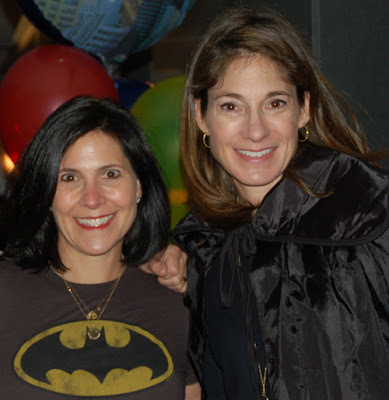 He and Jack did a superhero trivia contest and we had a costume parade. I think it was a lot of fun for the parents and the kids. Since most of the kids came in costume it made me think of the superhero party we had when we all left for Minnesota and your transplant. People brought superhero toys for us to give to the kids in the hospital. We also raised a lot of money for the Foundation. One of the young people we helped spoke to everyone. She was a patient at Georgetown and now is more than a year out. We will probably do this every year. Mom did a great job on this event. She is amazing. 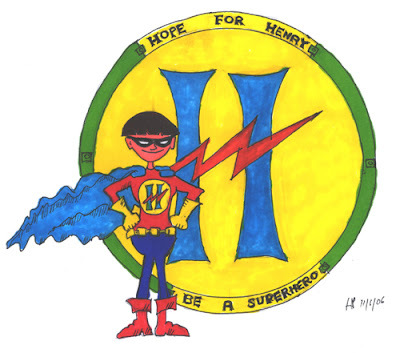 Our buddy Hugh is who drew this great Hope for Henry superhero. We got a letter from DC Comics because they didn't like that we were using the word "superhero" because they own it. 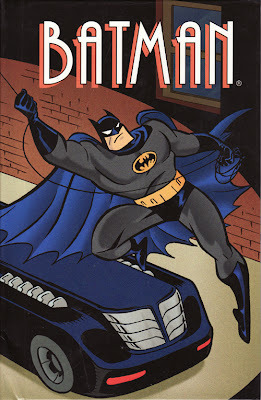 Crazy, huh, especially since everyone bought so many DC Comics action figures for the kids in the hospital. I didn't tell you much about Hanukkah this year. We went over to Nana and Papa Sy's apartment with all of your cousins. 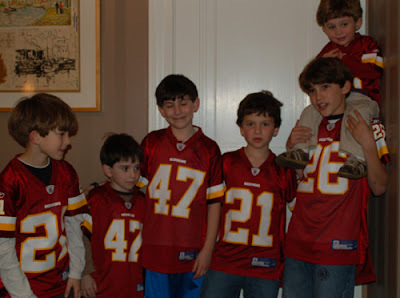 We bought all the boy cousins Redskin jerseys as gifts. They were very excited. It was all very nice. I got there late because I was at work. I was lucky enough to help put a Hanukkah channel on XM for all of the holiday. 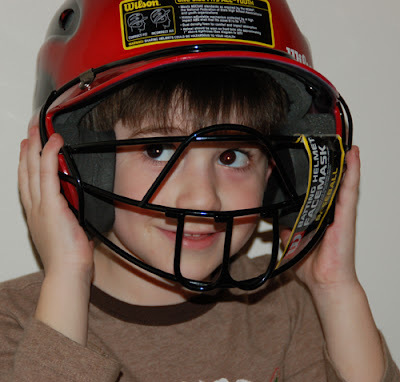 Joe got a batting helmet.